According to the Oregon Department of Fish and Wildlife, since 2008 40 California Sea Lions have been removed from the Bonneville Dam area (which straddles the Columbia River between Oregon and Washington.) 25 of these sea lions were euthanized, 10 were given to aquariums and 5 were captured and subsequently died (of unspecified causes.) Why was such a charismatic species being systematically removed from the area? The sea lions feed on spring chinook salmon and steelhead when the fish become stymied by the Dam and such action was needed, the agency claimed, to protect the endangered and threatened fish runs. Apparently, however, NMFS determined that only those sea lions that were “persistent offenders” and were caught repeatedly eating salmon or steelhead deserved the “removal” sentence, and as of March 2010, the agency had a list of 64 sea lions eligible to be euthanized for such behavior. 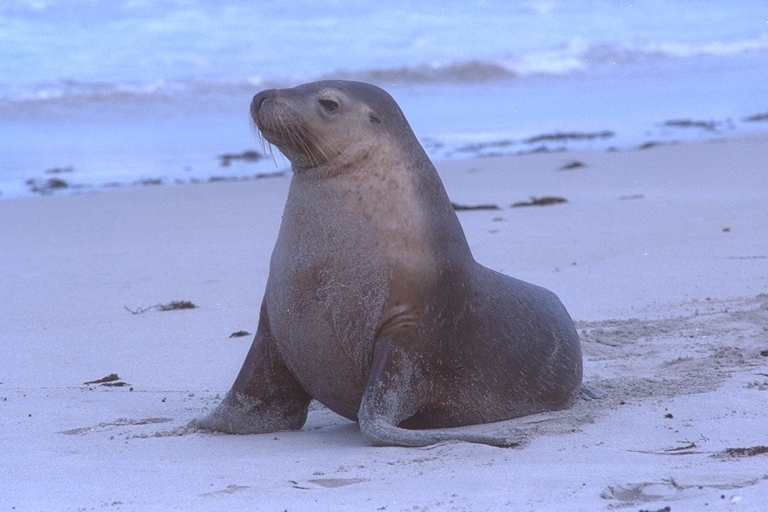 In 2008, the Humane Society and other groups challenged NMFS’s decision to kill these sea lions, citing violations of the Marine Mammal Protection Act (MMPA), among other statutes. Section 120 of the MMPA allows for “the intentional lethal taking of individually identifiable pinnipeds (fin footed mammals, i.e. sea lions and other such adorable creatures) which are having a significant negative impact on the decline or recovery of salmonid fishery stocks. Plaintiffs in the case argued that sea lions, which took only 4.2% of the entire salmon run in 2007 (with percentages ranging from .4% to 3.4% between 2002 and 2006) were hardly having a significant impact on the recovery of fishery stocks. The District of Oregon disagreed, ruling that NMFS could continue with their lethal program. Luckily for those 64 “listed” sea lions, however, the 9th circuit reversed that ruling. The court noted that commercial, recreational and tribal fisheries are authorized to take between 5.5 and 17 percent of listed salmonids and that dam system itself takes a comparable number of salmonids, and that NMFS considers these takes to have “minimal adverse impacts” on the viability of the species. Looking at these numbers, the court concluded that NMFS did not adequately explained its finding that sea lion predation (4.2%) is having a significant negative impact on salmonid decline or recovery in light of its positive environmental assessments of harvest plans which have greater mortality impacts. The court directed the district court to vacate NMFS’s decision approving lethal action under the MMPA, and directed NMFS to either articulate a reasoned explanation for its action or to adopt a different action. This means that for now, those 64 “listed” sea lions are safe. That’s something to be thankful for this thanksgiving.